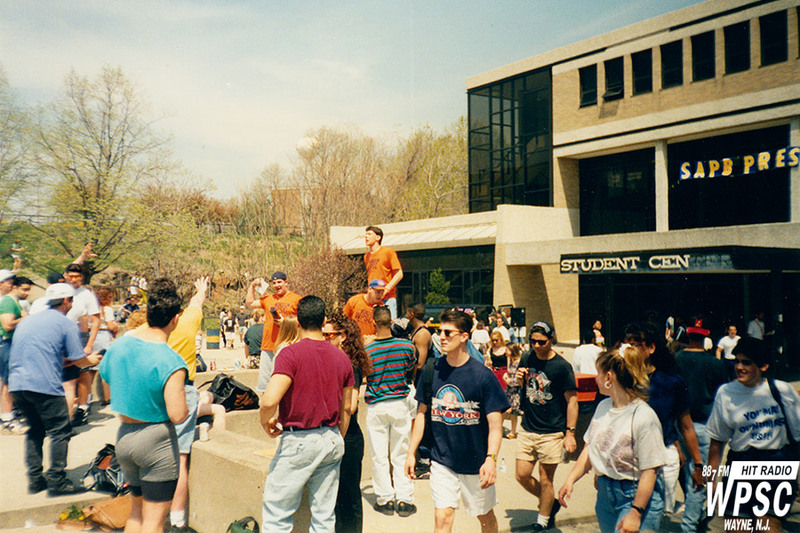 The HitRadio WPSC-FM remote broadcast for Spring-Fest 1994. Pictured are Jamie Kazazian, Kevin Serio, and Ken Christie. The original comment on this photo reads "Kaz pounded everyone into submission who wasn't a HitRadio listener!"